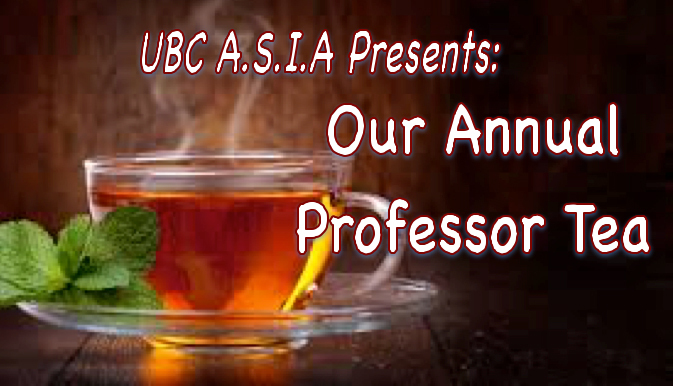 The UBC Asian Studies Interest Association would like to invite you to our annual Professor Tea event! This is a great opportunity to reconnect with Asian Studies undergraduates, graduates and faculty and discuss ideas, experiences, and potential future opportunities in a casual setting. Refreshments will be provided.